Ministry leaders need a variety of skills to serve their congregations well. We need to be preachers who can plant the truths of Scripture deep into the hearts of our listeners. We need to offer clear reasons for the hope that we have in Christ. We need to skillfully tend the souls of those we shepherd. Maybe you have wondered where you could find that expert training in preaching, apologetics and spiritual formation. Talbot can help! Our Heart, Mind and Soul specialty track combines the best Talbot has to offer in one multifaceted learning experience. You will spend a year learning from Dr. Don Sunukjian how to communicate God’s Word in a way that is true to the biblical text and relevant to the contemporary listener. You will spend a year learning from Dr. Greg Ganssle how to respond effectively to the critical questions asked by a secular culture. And you will spend a year learning from Dr. Steve Porter how to make disciples who are conformed to the image of Christ. During your first year, Dr. Steve Porter will explore spiritual formation in Christ, focusing on your own discipleship to Jesus as well as how to come alongside others in their discipleship to Jesus. You will explore the historical and sociological forces that have shaped how spiritual formation is understood and develop a biblical-systematic theology of discipleship and formation. You will also focus on strategies, challenges, and best practices for disciple-making in the local church as well as how spiritual formation is connected to mission, social justice and evangelism. During your second year in the program, Dr. Don Sunukjian will provide a complete overview of the process of preparing biblical sermons. You will hone your skills in moving from the text to the sermon, developing outlines that reflect the biblical author’s flow of thought, and shaping your sermons for maximum impact. Each student will have the opportunity to prepare and deliver a didactic/epistolary sermon as well as a narrative sermon and receive feedback on both from Dr. Sunukjian and the class. During your third year, Dr. Greg Ganssle will lay a biblical and theological foundation for apologetics and cultural engagement. Exploring the rich resources of the gospel, you will develop a model for engagement that is adaptable to a variety of institutions and practices. You will explore the nature of apologetics and begin to develop a strategy for addressing some of the larger issues in apologetics — the existence of God, evil, suffering, worldviews, religious pluralism, relativism and the interface between science and reason. This course will also focus on how to equip culture-leaders in your church. You will also learn how to connect the gospel with the deeper affections of people everywhere. Dr. Don Sunukjian is Professor of Preaching and serves as Chair of the Department of Christian Ministry and Leadership at Talbot. His lifelong love has been preaching, both as a pastor and a teacher. With doctorates in theology and communication and over two decades as a senior pastor, he brings both scholarship and experience to the classroom. He is the author of Invitation to Biblical Preaching: Proclaiming Truth with Clarity and Relevance, and three volumes of contemporary biblical sermons, Invitation to James, Invitation to Philippians and Invitation to the Life of Jacob. He has also contributed to The Bible Knowledge Commentary, Biblical Preaching, Walvoord: A Tribute and The Big Idea of Biblical Preaching as well as numerous journals. 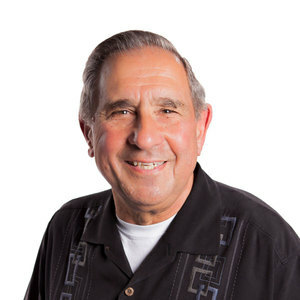 Dr. Sunukjian has conducted pastors' conferences throughout the United States and maintains a regular preaching schedule. Dr. Greg Ganssle is Professor of Philosophy at Talbot. He has been thinking about the intersection of Christian faith and contemporary scholarship for over 30 years. He was part-time lecturer in the philosophy department at Yale for nine years, and a senior fellow at the Rivendell Institute. His research interests lie in contemporary philosophy of religion and history of philosophy. In addition to publishing many articles, chapters and reviews, Dr. Ganssle has edited two books, God and Time: Four Views and God and Time: Essays on the Divine Nature (with David M. Woodruff). He is also the author of Thinking about God: First Steps in Philosophy, and A Reasonable God: Engaging the New Face of Atheism. 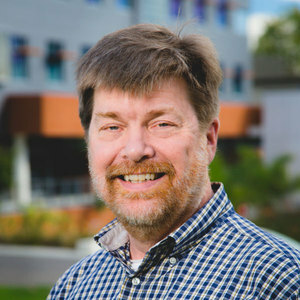 Dr. Steven L. Porter is Professor of Philosophy and Theology at Talbot. 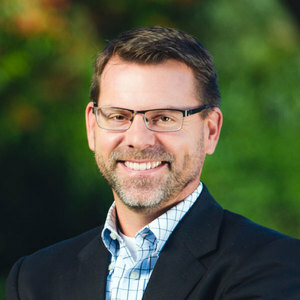 With over 20 years of experience in both academic and church ministry, Dr. Porter teaches in Talbot’s Institute for Spiritual Formation and at Rosemead School of Psychology. His areas of interest include the doctrine of sanctification, Christian spirituality, the integration of psychology and theology, and philosophical theology. He is the managing editor of the Journal of Spiritual Formation and Soul Care. He has also contributed articles to the Journal of the Evangelical Theological Society, Philosophia Christi, Faith and Philosophy, and the Journal for Psychology and Theology.